Demand for licensed sports merchandise is expected to be driven by rising demand for sporting goods, increasing popularity of sports leagues, accelerating sports markets in North America, and economic development. Consumer trends for licensed sports products vary from region to region. Sports apparel is the leading segment in North America and Europe. In the past few years, the U.S. licensed sports merchandise market witnessed a moderate growth that is majorly driven by increasing popularity of leagues such as Major League Baseball (MLB), National Football League (NFL), and the National Basketball Association (NBA). The non apparel segment such as videogames or software is expected to witness great growth potential among sports lovers in the coming years. Moreover, licensed sports merchandise is driven by the popularity of university and college level sports teams. 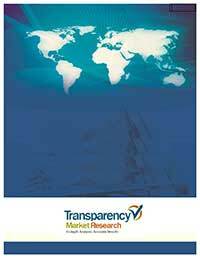 In this report, the global licensed sports merchandise market is divided into three segments: (i) category (ii) distribution channel and (iii) geography. Based on category type, the licensed sports merchandise market is bifurcated into sports apparel, sports footwear (outdoor), sports accessories and toys and videogames or software, domestic and house wares among others. Others licensed sports merchandise type includes souvenirs, gifts or novelties, consumer electronics, food and beverage etc. Increasing popularity of sporting leagues and their increasing fan base is creating a positive impact on the demand for licensed sports products across all age groups. The market is primarily dominated by strong demand for licensed sports apparel among sports fans. Video games or software are expected to grow at a faster rate as compared to sporting toys and accessories. On the basis of distribution channel type, the licensed sports merchandise market is segmented into e-commerce or online stores and offline stores. Offline stores are further segmented into departmental stores, specialty stores and others. Others offline stores segment includes mass stores, supermarket and discount stores among others. Among all these distribution channel type for licensed sports goods, the offline stores sector is ideal choice for sports lovers who are looking for licensed sports goods. Based on geography, the global licensed sports merchandise market is segmented into North America, Europe, Asia Pacific, Middle East and Africa (MEA) and Latin America. In 2016, North America held the largest share of the licensed sports merchandise market followed by Europe, Asia pacific, Latin America and Middle East and Africa (MEA). Asia Pacific is the fastest growing market at present and is expected to be the fastest growing region during the next eight years as well. However, North America is expected to maintain its leading position during the forecast period. The increase in growth rate of the licensed sports merchandise market is a result of increased in adoration of leagues, their teams, and favorite players across various age groups. The market is dominated by strong demand for licensed sports apparel due to deals between major licensors and licensees. Moreover, innovative new products with sophisticated designs and digital technology are expected to stimulate interest and demand for sports goods and gadgets in North America during the forecast period. Apart from this, changing consumer lifestyle coupled with extensive marketing strategies adopted by licensed sports products manufacturing companies is slated to fuel the market for licensed sports products in this region over the forecast period. Latin America is expected to witness the second fastest growth in the licensed sports merchandise market, driven by the booming retail sector, increasing disposable income, and growing expenditure pattern on licensed sports goods in the region. Brazil accounted the largest market share for licensed sports merchandise market in the Latin America. The report also provides the company market share analysis of key players operating in the licensed sports merchandise industry. Some of the key players in this market include VF Corporation (Greensboro, U.S.), Nike Inc. (Beaverton, U.S.), Fanatics, Inc. (Jacksonville, U.S.), and Adidas A.G. (Herzogenaurach, Germany) among others. These companies are engaged in aggressive marketing and promotional activities in order to attain a better market share over their rival competitors. Other notable strategies adopted by these major companies include product innovations, joint ventures and partnerships, strategic acquisitions, and geographical expansions among others.